London’s Oxford Circus area was temporarily closed on Friday evening after police received reports of shots being fired.The incident left 16 people injured in the busy Oxford Circus-street. The CCTV images released by Scotland yard reveals the altercation between two men which created a unncessry fuss in the shopping hub area in the heart of the city. 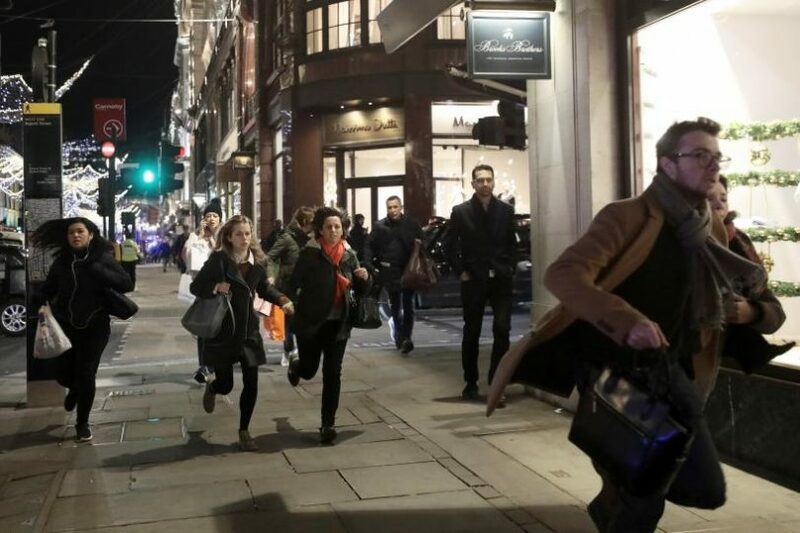 When the incident happened the Oxford Street was crammed with shoppers with its festive window displays and hundreds of overhead lights taking advantage of the Black Friday sales. Chaos created by two men led several Injuries and worries to the police department of the terrorist attack. The Metropolitan Police said, “We are releasing CCTV images of two men we would like to speak with, following the incident at Oxford Circus earlier today, triggering a mass evacuation.” Earlier the police had, said that they had responded as if the incident was “terrorist-related”. One of the injured person was transferred to a major trauma centre for leg injuries, while eight people were taken to nearby central London hospitals for minor injuries. Another seven patients were treated at the scene. In the Statement, The London Ambulance Service said the injuries were sustained as passengers fled from Oxford Circus Tube station, and one of the witnesses said was “a stampede”. Two underground stations the Oxford Circus and Bond Street – which is in the center of the city, had been shut down, reopened soon after the area returning to normalcy.